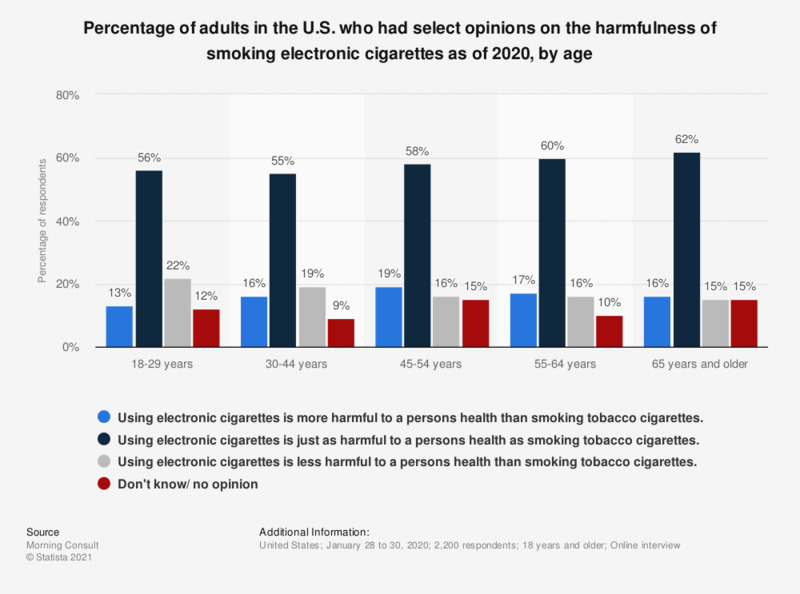 This statistic shows the percentage of adults in the U.S. that had select opinions on the harmfulness of electronic cigarettes when compared to tobacco cigarettes as of 2018, by age. According to the data, among those aged 18-29 years, 42 percent said that electronic cigarettes are just as harmful as tobacco cigarettes. U.S. smokers: Did you make repeat electronic cigarettes (e-cigarettes) purchases?